According to the World Health Organization, more than 36.7 million people around the world are infected with Human Immunodeficiency Virus (HIV). 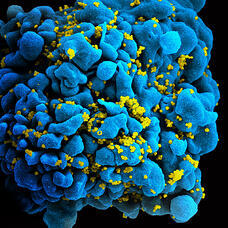 Although there is not yet a cure for HIV, some treatments are able to slow the spread of the virus. Researchers around the world study the virus with the hope of one day creating a cure to attack the virus. A team of researchers from the University of Southern California in Los Angeles are taking a different approach to fighting HIV - by creating a treatment that boosts the immune system instead of attacking the virus. Dr. Huang explained that: "Most HIV drugs target the virus. But the virus is not stable; it always mutates - problematic because the virus can become resistant to effective drugs." The Huang lab has been studying an X4 strain of HIV, which emerges in the late stages of HIV when the infection has become more serious. Within this family of proteins, one - which has been named Delta 20 - has effectively been able to suppress X4. Using Delta 20 and the knowledge they have gained, the USC research team hopes to one day be able to develop new treatment methods for fighting the HIV virus. Research from this study is published in the July 2017 issue of Proceedings of the National Academy of Sciences. 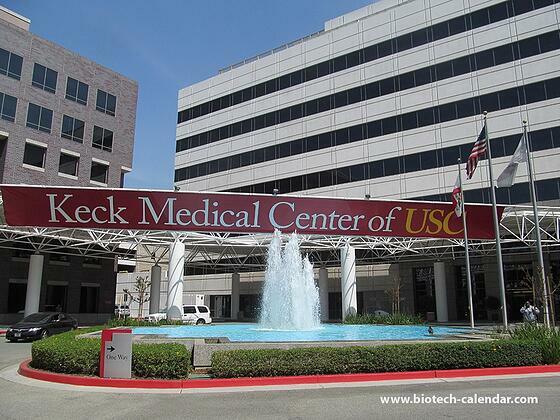 All of this funding makes USC a strong marketplace for lab suppliers to find new scientific product sales leads. 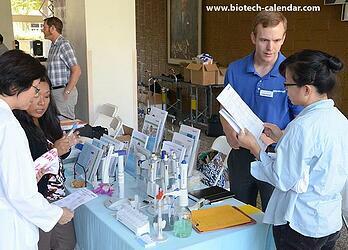 Biotechnology Calendar, Inc. produces an annual BioResearch Product FaireTM Event at USC that gives researchers the opportunity to find new products and technologies to further their lab work. 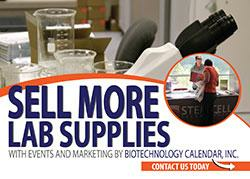 Lab suppliers have the chance to meet with hundreds of these researchers in a short span of time.